Well I'm back, this time with just a short post as am up and cannot sleep, not good when off to a Jubilee party later. 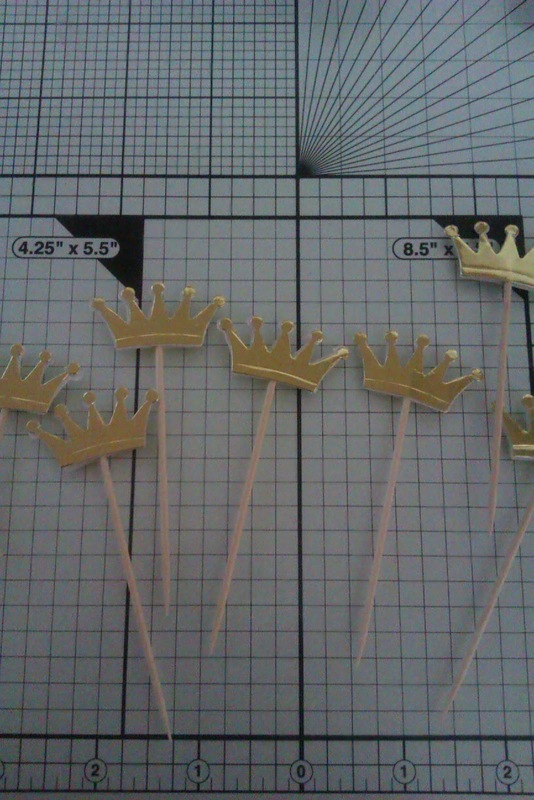 Anyway I wanted to share with you my crown sticks to decorate my cupcakes. I'll take some pictures with the cakes all decorated once we get to the party and get them all set up. Will post more pictures after the weekend. 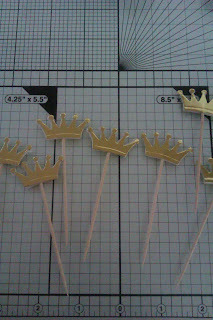 Hope you all have a happy Jubilee.